Ships today if you order in the next 9 hours 1 minutes. A healthy weight loss regimen doesn't involve just a healthy diet or just regular physical activity; it needs both. 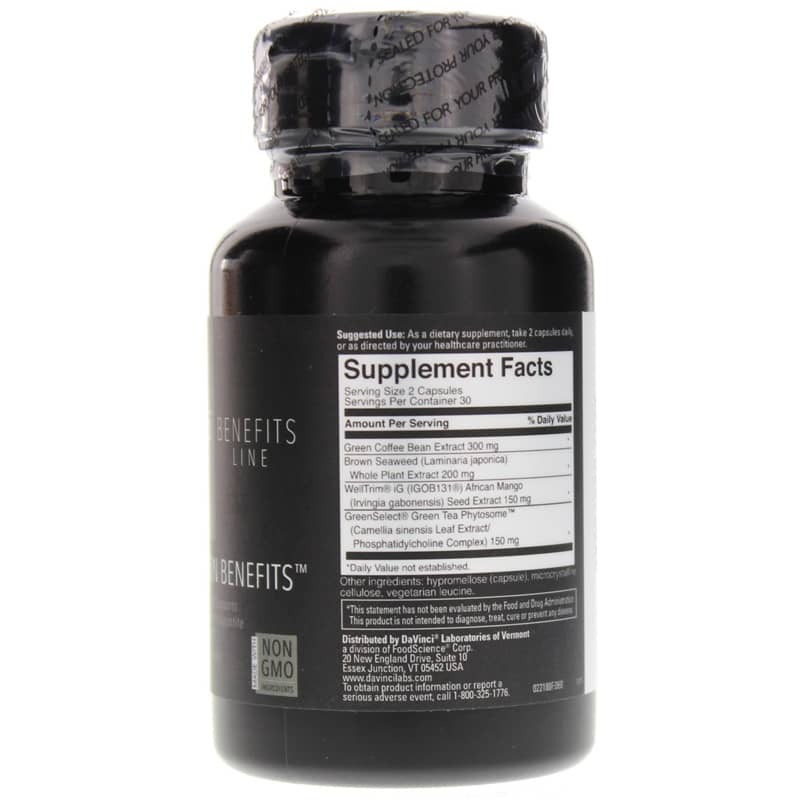 So if you're looking for a supplement to support your weight loss goals, why settle for just one ingredient? 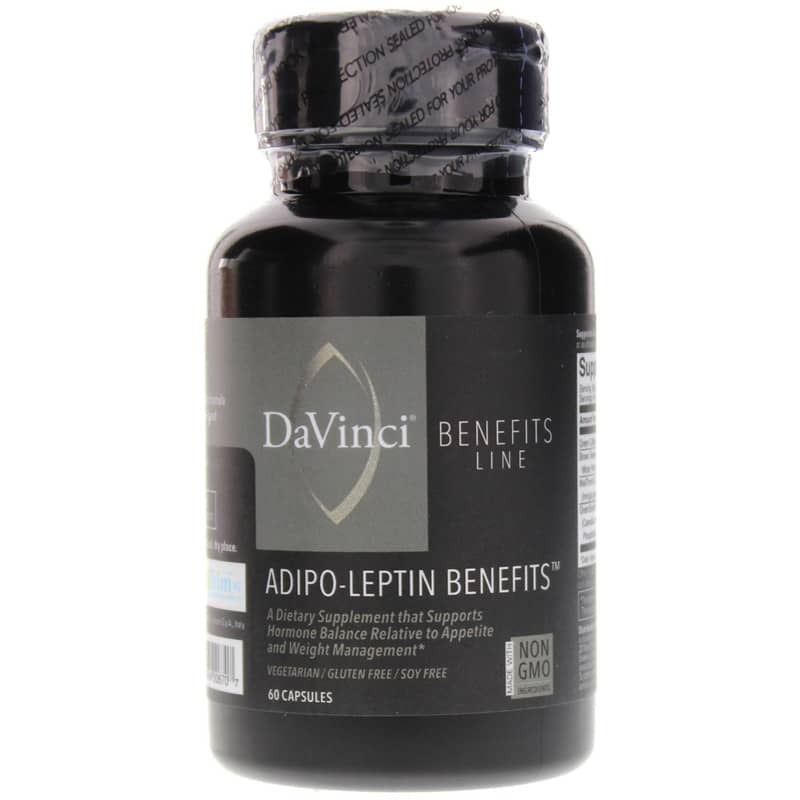 Get four levels of natural support with Adipo-Leptin Benefits from DaVinci. Adipo-Leptin Benefits combines four ingredients in a vegetarian supplement to provide synergistic support for a healthy weight loss routine. African Mango - A West African fruit, African Mango's seeds provide an extract that may provide support for weight management through appetite control and support for a healthy metabolic rate. Brown Seaweed - Brown seaweed contains the carotenoid fucoxanthin, which may act as a themogenic antioxidant to support healthy metabolism. Green Coffee Bean Extract - Green coffee bean extract is a source of the polyphenolic compounds caffeic and chlorogenic acid. 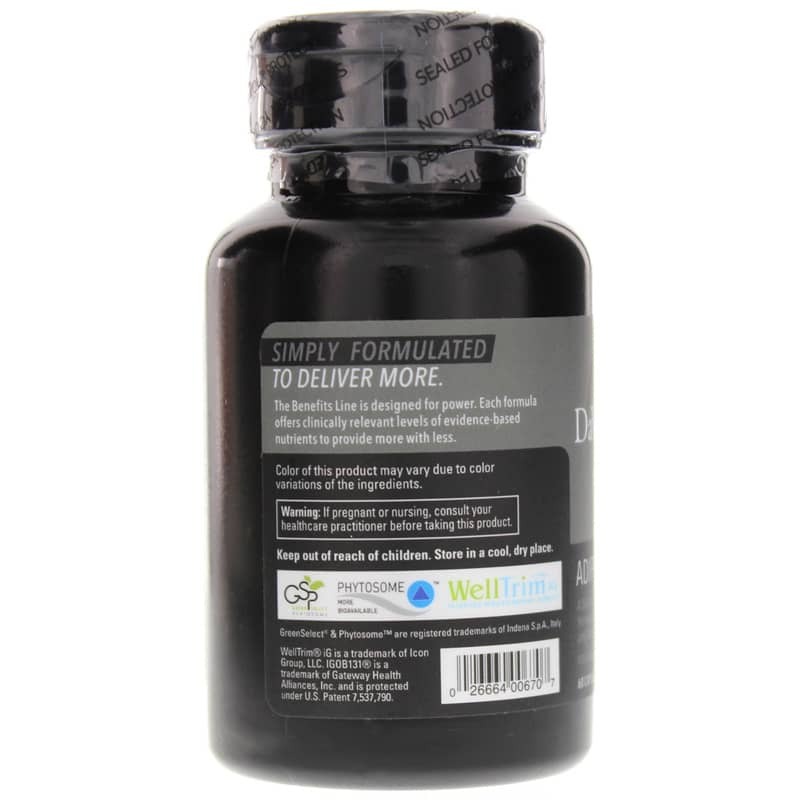 Caffeic acid supports natural energy levels and chlorogenic acid helps to maintain a normal release of glucose into the bloodstream after a meal. Green Tea Phytosome - This ingredient is a natural source of antioxidant activity and may also provide metabolic support. Support your weight loss goals naturally. Order Adipo-Leptin Benefits.